Acronis True Image 2015 - download in one click. Virus free. Download the latest version of Acronis True Image 2015 with just one click, without registration. It comes with a safe official web installer for Windows. 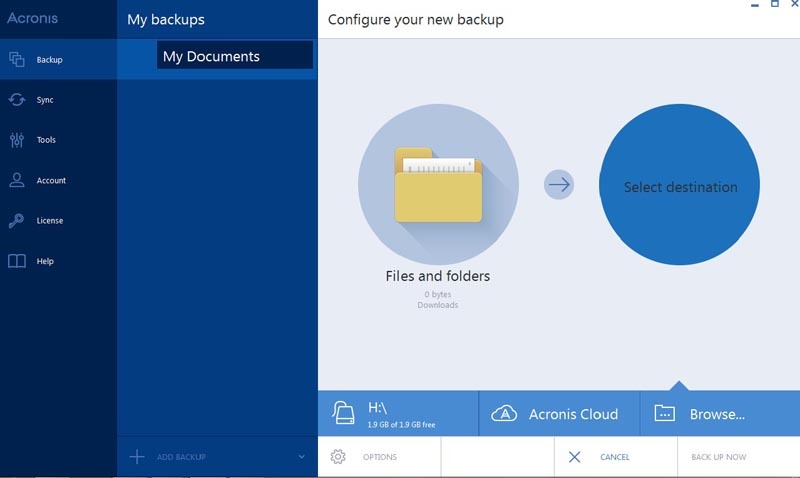 Acronis True Image 2015 is a brand-new program designed for full system image backup and recovery. If you want to be reliably protected against any potential loss of your documents, personal settings, bookmarks, emails, music, photos, videos, and all your beloved applications, then you should definitely use the unique technology of Acronis True Image that backups the entire system. This technology implements minimum requirements for the storage folders' size and allows you to recover the whole operating system together with those individual files you haven't, probably, thought about. 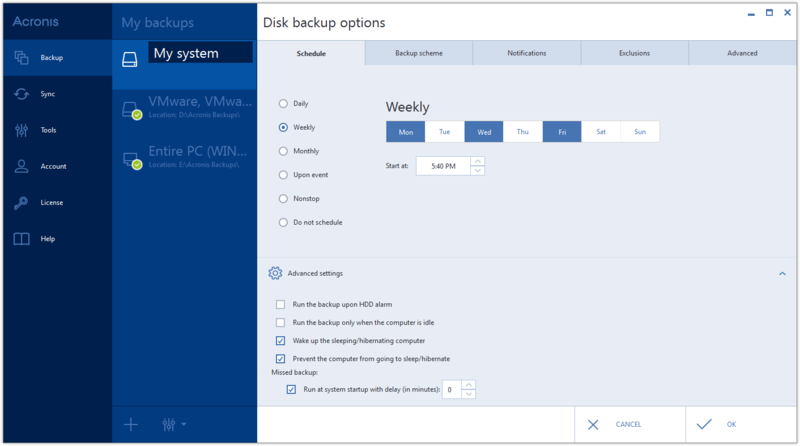 Acronis True Image offers the Universal Restore option that enables you to restore the system of your PC on any machine (no matter what manufacturer you had before) as well as choose from up to 20 versions of your full system image. The opportunity to do professional and regular backups also defends your PC from malicious intrusions. The program allows you to keep the backups password-protected with a personal key encryption. The Cloud Backup system makes it possible to restore your entire disc image anytime and anywhere from the cloud. It usually comes in handy when your computer fails to work. All in all, Acronis True Image 2015 is a powerful backup tool. It works both with local and cloud storage services, saves the whole disk image, lets you restore it in a snap, and even move your entire system backup from and to any PC.